Discover four new ways to learn in the sand and surf. 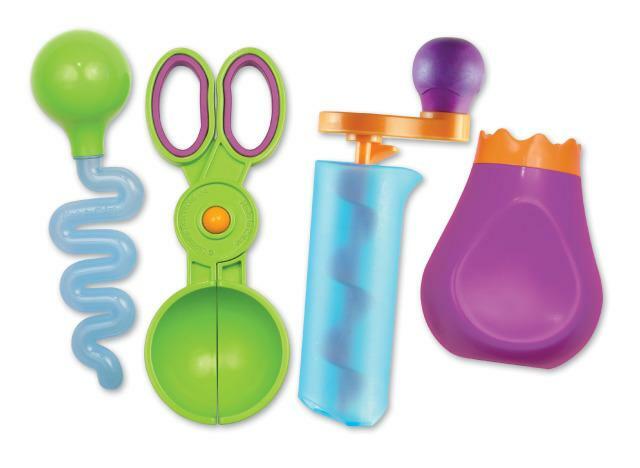 This set of four tools includes a squeezy bottle, spinner, wavy dropper, and scooper, each of which demonstrates a different physical concept through fun, easy-to-understand interactive play. Made of durable plastic.